What if people will get bored of these movies before 2016? Is it really wise outlining everything so far in advance? That means they can't dramatically unveil everything later on. 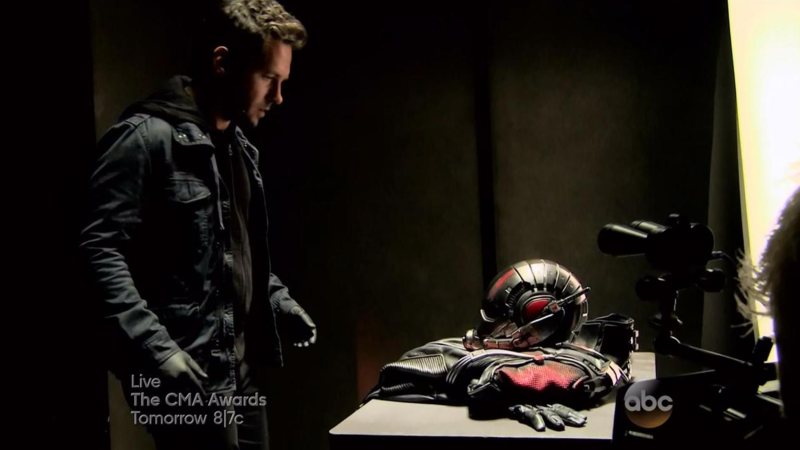 Ant-Man Teaser released (Ant only). I saw Ant-Man yesterday. Well, it sure is very different from you're usual Marvel movie. It doesn't even really feel like one. That's not a bad thing though. There are some great jokes, lots of comedy and it's very entertaining. Certainly not the best they've made but also far from the worst. I see a future for this character. I was also worried about Paul Rudd but it works out fine. The only thing that is starting to bother me are these throw away villains. It would be great if they got some more lasting and memorable villains. Teasing Thanos for years doesn't cut it. In what way does it feels different? From the trailer I am interested. looks good, I mean, in line with the quality bar expected from these.